Austin is a Vice-President at the Wealth Alliance Advisory Group. During his tenure in the financial services industry, which began with UBS Financial Services in 2014, he has focused almost exclusively on retirement plans. In this role, he is significantly involved in the ongoing education of participants. Before entering the financial services industry, Austin spent 10 years as an educator in two school districts and oversaw the online education of students via an independent curriculum provider. His academic career began at Fort Hays State University where he received a B.B.A. in finance with an emphasis in personal financial planning and a B.S. in business education. He also holds an M.S. in school leadership from Baker University. 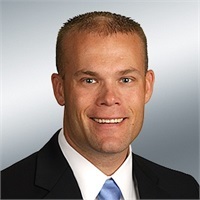 Austin currently holds the State of Kansas insurance licenses that enable him to recommend life and long-term care insurance as well as annuities. He also has passed the FINRA series 7 and the Uniform Combined State series 66 exams. He is an active member of his community volunteering for various organizations, his church, and coaching youth sports.